Tokamaks: "An elegance that's hard to ignore"
One can never know what will inspire an artist. 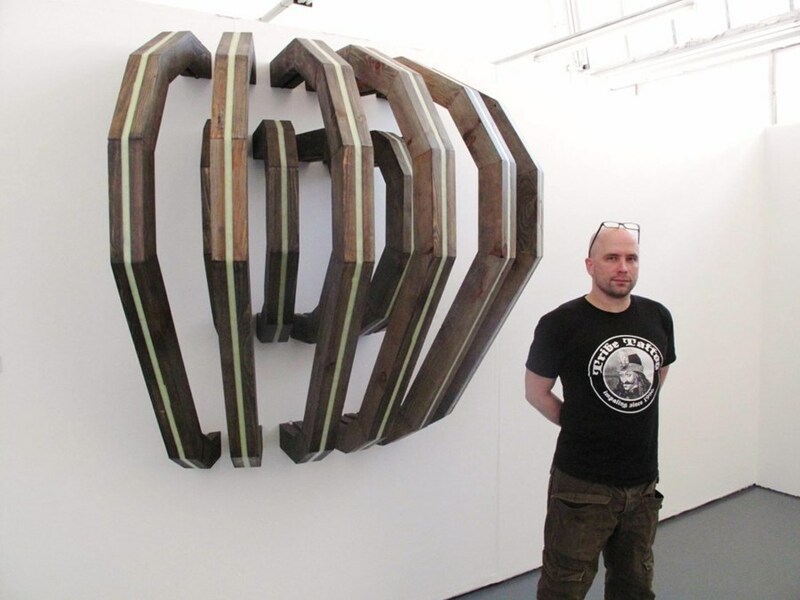 Take sculptor Tim Sandys, for instance: his latest work, soon to go on on display at the Royal Scottish Academy in Edinburgh, draws from ... nuclear technology. For the self-taught 38-year-old Scot, things nuclear have a beauty of their own. Many of his sculptures, like "Crossroads Baker," were named after some of the experimental detonations of the 1940s-1970s. Don't look for "Crossroads" on a map—it was just a 23-kiloton hydrogen bomb test on Bikini Atoll in 1946. Sandys even did a "Portrait of Edward Teller," a polyester resin, iron and vinyl abstraction that expresses the dark torments of the father of the H bomb. When, in the course of his research, he encountered the tokamak, the artist knew he'd found something that he could elaborate on artistically. "The classic D-ring tokamak really resonated with me," he recalls. "I have a kid's appreciation of this donut structure, as if you could walk around inside the reactor. Aesthetically, the symmetrical precision of the torus has an elegance that's hard to ignore." To realize his tokamak-inspired pieces, Sandys dug into the "visual goldmine" of tokamak drawings, cutaways and diagrams that are available on the Internet. "Then," he explains, "I sat down with a calculator and tried to summon my high-school geometry to plan the work. It was often exhausting—my last tokamak sculpture consisted of over 1,400 individual pieces of wood." Sandys' interpretation of the tokamak is minimal. "I try to depict a cross-section or a segment emerging from a wall and then looping back into it. If I can get across a sense of mathematical rigour or simplicity then I'm happy." The artist refuses to theorize his work. "I'm wary of artists who deliberately confuse or preach," he says. "Personally, I'd far rather find some kind of common language using mathematics or physical properties—one that doesn't need to be explained." 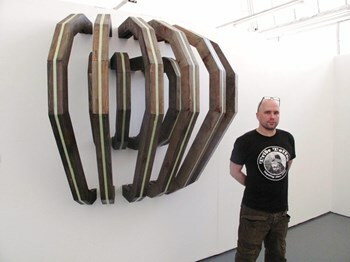 Wood and petroleum-jelly tokamaks, displayed on art gallery walls, is a first step in that direction. For more information on Tim Sandys' work, click here.